Coming in as the seventh-most deadly disease in the United States, diabetes isn’t something you want to ignore. But according to research conducted by the American Diabetes Association, 32.3 million Americans had diabetes in 2015 — but a whopping 7.2 million of them went diagnosed. What gives? This is especially true for women. While rates of diabetes are relatively equal across the board, there are several signs of diabetes that are unique to women that you may not have even realized. Here are the red flags you may be overlooking. 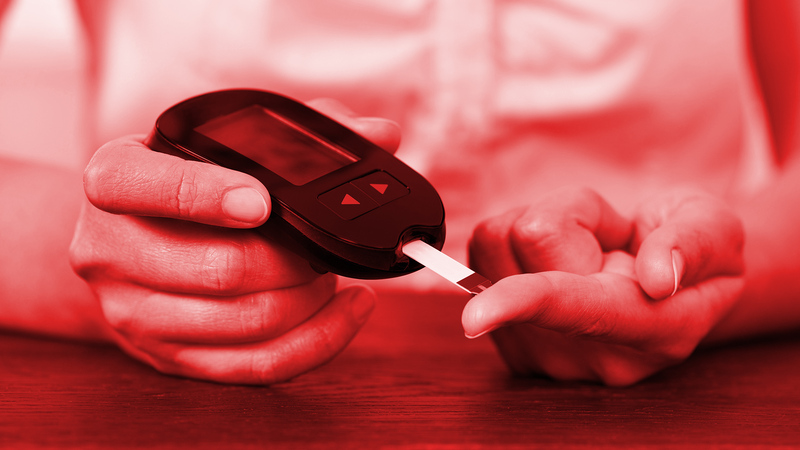 Believe it or not, some urogenital conditions can be signs of diabetes. Hughes explains that diabetes causes more glucose to be excreted in your urine, leading to these increased tract infections. However, she also points out that some of these symptoms are often misunderstood, especially by older, postmenopausal women. As this risk increases as both men and women age, it is important to note these overlapping symptoms. Polycystic ovarian syndrome is a hormonal disorder that occurs when a person with ovaries produces an excess of androgens. If it is not treated, it can lead to a number of complications, including diabetes. The common denominator of PCOS and diabetes is insulin resistance, a condition that up to 70 percent of people with PCOS exhibit. But while insulin resistance is understood to be a cause of diabetes, medical professionals are not sure whether this condition is a consequence or a cause of PCOS. And since it’s estimated that almost half of PCOS cases go undiagnosed, it may not be the most recognizable sign of diabetes. But if you have already been diagnosed with PCOS, talk to your health care provider about managing your insulin, and thus mitigating your risk for developing diabetes. Gestational diabetes is a specific type of diabetes that only appears when people are pregnant, causing high blood sugar levels that could harm both the pregnant person and the baby. According to Hughes, women are especially at risk if they have developed gestational diabetes in a previous pregnancy, if they have previously given birth to a child weighing more than 9 pounds or if their body mass index is over 30. She suggests that all women get screened for gestational diabetes within the first 24 to 28 weeks of their pregnancy to best manage the potential health risks. Typically, with proper medical attention, these cases of diabetes disappear after the baby is born. Problem solved, right? While this sounds a little scary to any new moms out there, Hudson points out that this indicator may actually be a good thing, as patients can now understand and manage their risk at an earlier age. So you know the signs… now what? While the signs of diabetes seem to be scattered around different medical specializations, don’t be afraid to talk to a medical professional about symptoms that seem to be unrelated. So when in doubt, ask a medical practitioner about any symptoms you think might be a sign of diabetes. The sooner you are diagnosed, the sooner you’ll be able to start getting the treatment you need.